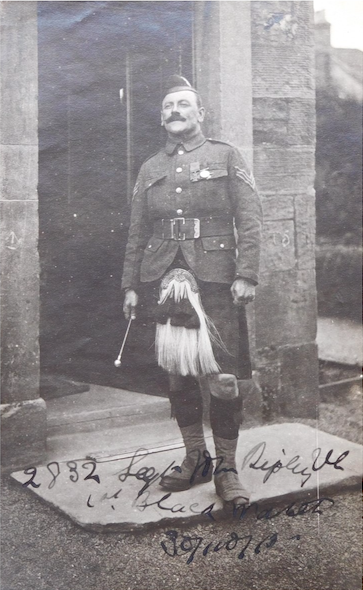 Corporal John Ripley VC, better known as ‘Jock’ was born in Banffshire. He joined the 7th Volunteer Battalion, the Black Watch in around 1890. In 1895 Jock married a local girl in St Andrews, Jane Laing, and thereafter lived in the town for the rest of his life. As well as being in the Territorials, Jock worked as a Slater, and was a member of St Andrews Fire Brigade. 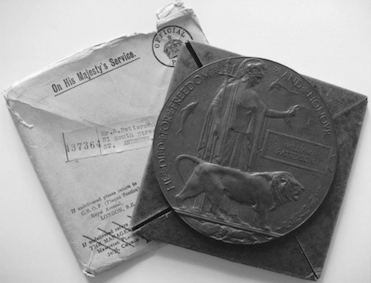 In 1912, after over twenty years’ service, he left the Territorial Army. His service had seen him rise to the rank of Colour Sergeant, and in 1909 he was awarded the volunteers’ Long Service and Good Conduct Medal. 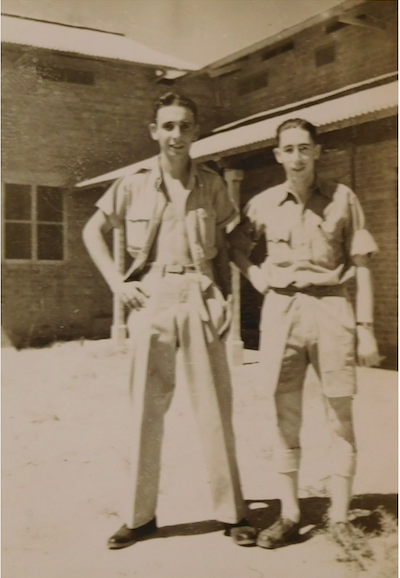 At 48, Jock returned to active service as a Recruiting Sergeant at the outbreak of the war. 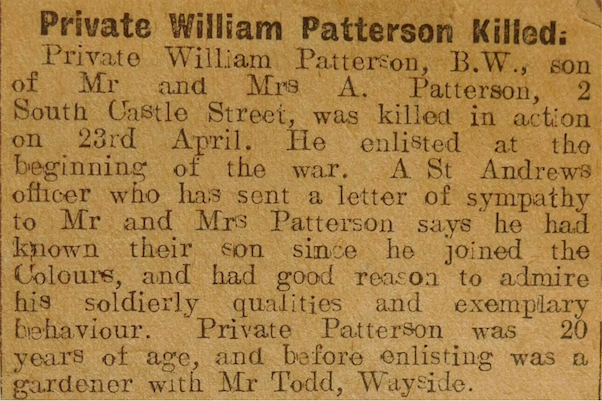 In September 1914 he received the rank of Corporal whilst training with the 3rd Battalion, the Black Watch. In February 1915, Jock was transferred to the 1st Battalion the Black Watch who were embarking for France. In a later press interview, when asked how he managed to get recruited for active service despite his age, Jock replied that, “it must have been owing to the slip of the pen”, confirming that he had recruited himself. Whilst serving with the 1st Battalion, Jock was awarded the highest British milliary honour, the Victoria Cross (VC), for his action at Rue de Bois on the 9th May 1915. 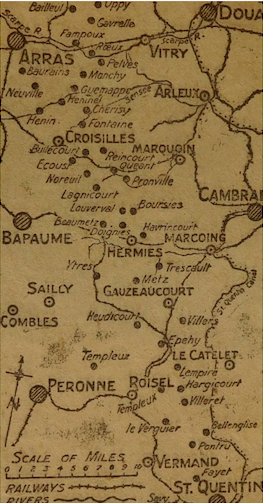 “For most conspicuous bravery at Rue du Bois at 9th May 1915. When leading his section on the right of the right platoon in the assault, he was the first man of the battalion to ascend the enemy’s parapet, and from there he directed those following him to the gaps in the German wire entanglements. He then led his section through a breach in the parapet to a second line of trenches, which had previously been decided upon as the final objective in this part of our line. On returning to St Andrews, crowds gathered in the street to welcome Jock home. Local people expressed their appreciation of his achievements by presenting him with a purse of Sovereigns in October 1915. His injuries prevented him from returning to active service, however he continued in his role as Recruiting Sergeant until he was demobbed in March 1919. After the war he returned to civilian life as a Slater and volunteer fireman. On the 14th August 1933, Jock fell from a ladder whilst working on Castlecliffe House on the Scores in St Andrews. He succumbed to his injuries at St Andrews Memorial Cottage Hospital some hours later, aged 66. He was buried at Upper Largo Churchyard with military honours. 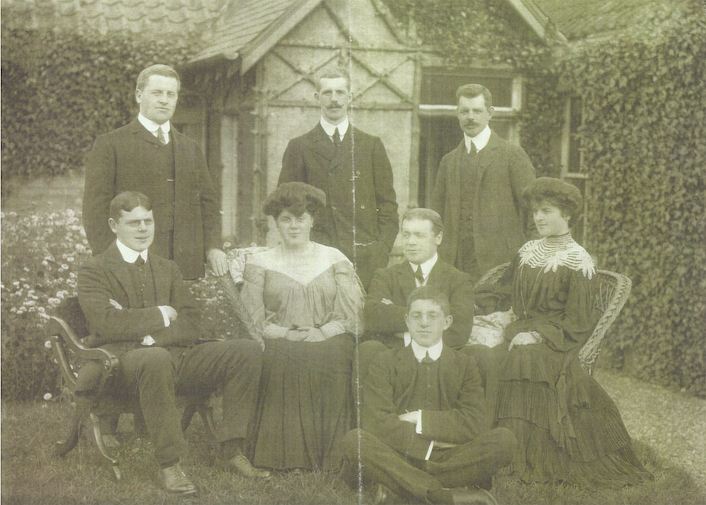 At the outbreak of the Great War on August 4th 1914, ten local residents immediately set about assisting in the war effort. 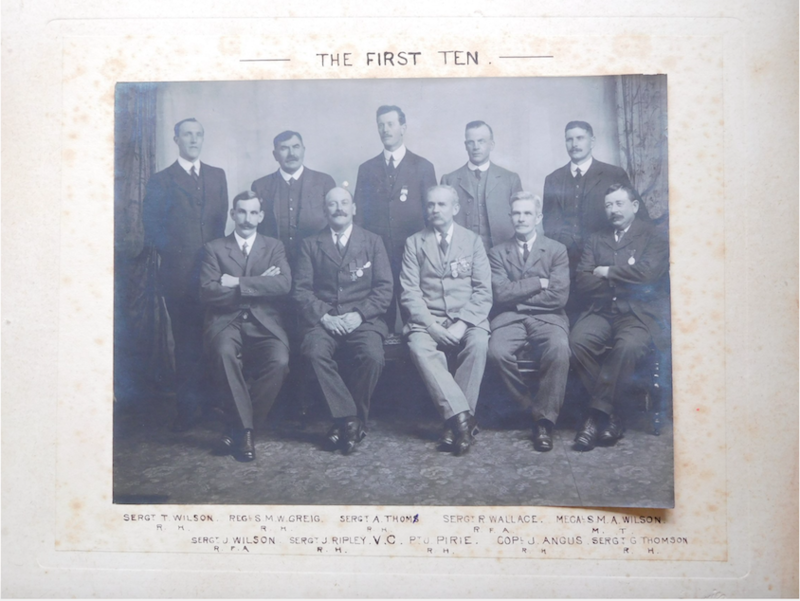 These men were either ex-servicemen of either the regular or territorial forces; with Britain’s regular army standing at just 80,000 men in 1914, reservists were essential throughout the war. These men were over the age limit to see active service, but they still wanted to volunteer and help their community as best they could. 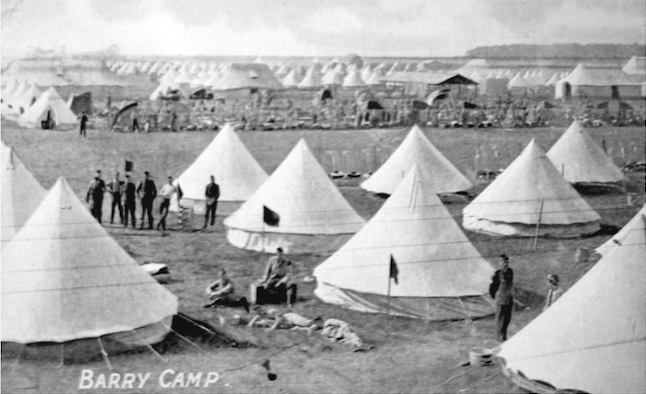 They provided basic military training to new volunteers, of which there were nearly 2.5 million signed up across Britain, until conscription was introduced in January 1917. 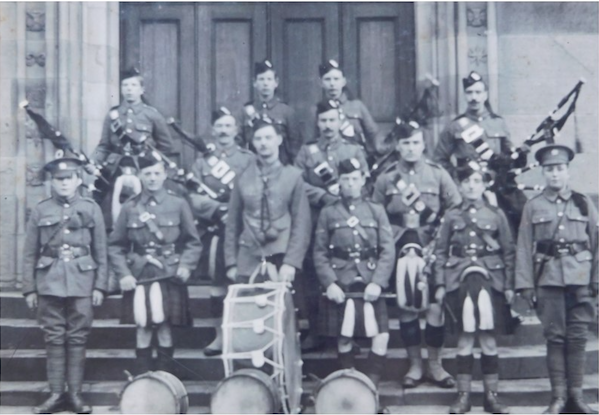 St Andrews Town Pipe Band around 1914. Very few were to return from the Great War. 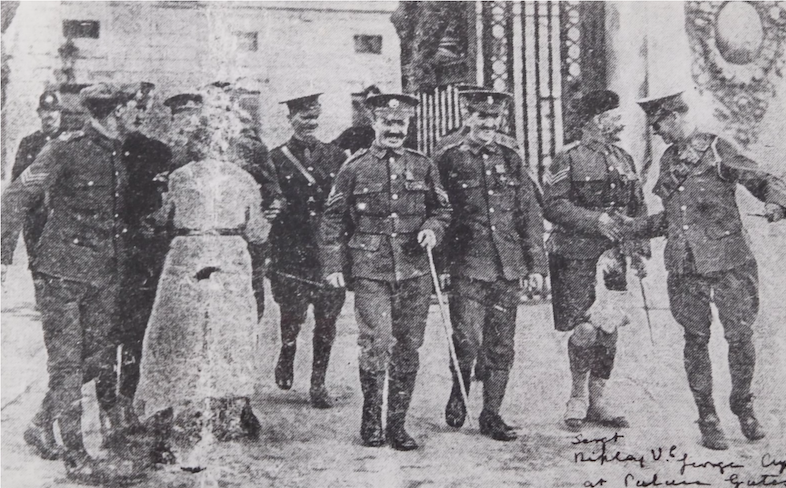 The 2/7th (Fife) Battalion, Black Watch, was formed in St Andrews in early September 1914 as a second line unit, consisting of Black Watch Territorials. 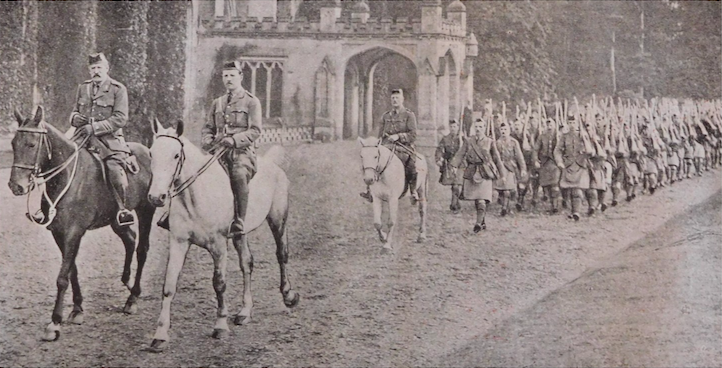 The 2/7th Black Watch leaving Crawford Priory near Cupar Fife, the residence of their Commander Lt. Col. The Hon. Thomas Cochrane who is pictured riding at the head of the group on the black horse. From “The Dinna Forget Book” of the 7th Black Watch.